Yankees Series Review: Showing Some Gumption! This weekend’s series against the Baltimore Orioles was, by far, the most important series of the year for the Yankees. Although that might change next week, or the week after, for now this was it. For the first time in a while, I thought most of the Yankees responded pretty well to the situation. Were there some frustrating moments? Of course. I was most impressed with the offense, however. Sure, the Yankees could have won all four of these games, but when the two top dogs split a four game set, you can’t get too upset. I’ll tell you why this game was frustrating. The offense didn’t get much of anything done through the first seven innings of the game, mounted a huge rally to tie things up in the eighth, only to have the bullpen immediately implode in the bottom of the frame. It was annoying as all hell, but I took the positives from this game. That five run rally was something else, and it showed a life the Yankees haven’t had maybe in the entire second half. David Phelps got the nod in this game and, after a disastrous first inning (four runs and a big three-run bomb by Matt Wieters, pretty much totally settled down. He only managed to make it through four innings, but only gave up one run after the first. It certainly wasn’t pretty, or what we’ve come to expect from him, but it wasn’t as bad as it could have been. The real damage the Orioles did came against the actual good pitchers in the Yankees bullpen. We all know the bullpen is weak (thanks, Cash), but David Robertson and Boone Logan are supposed to be the solid links to Rafael Soriano in the ninth. Robertson came in to pitch the bottom of the eighth, right after the Yankees had rallied for five to tie in the top of the inning, and he couldn’t even get through the first batter before blowing it. He allowed a solo home run to Adam Jones to lead off the frame, and then a two-run homer to Mark Reynolds (his second of the game) two batters later. 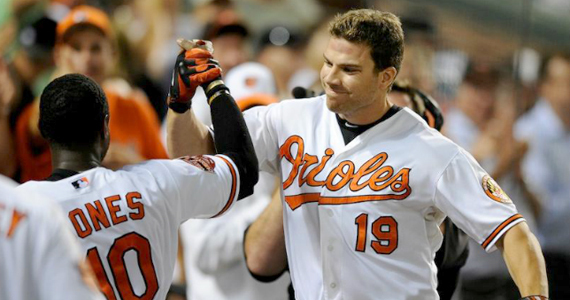 Logan then came in and allowed a solo homer to Chris Davis, and that was that. Very frustrating. Without the top of the eighth inning, I may not even be writing a full review post for this series. The Yankees were down 6-1 coming into the inning and exploded for five runs to tie it. The runs scored on an RBI double by Alex Rodríguez, an RBI single by Granderson, a bases loaded walk by Chris Dickerson (The O’s seem to have done that a lot lately against the Yankees) and a huge two-out, two-run single by Ichiro that finally tied things up. As we mentioned earlier, it wouldn’t last. I really did like the gumption the Yankees showed even tying this game though. At least the offense tried to win this game. Of late, it seemed like no one was at all. This was kind of a blowout game, but it ended up a little too close for comfort. The Yankees pretty much jumped all over Wei-Yin Chen, and Phil Hughes and company slowly landed the plane to safety (think Striker in Airplane… You’re too low, dammit!). The Yankees won 8-5 to even up the series. While Hughes certainly wasn’t lights out in this game, he really only made one big mistake, which was the three-run homer to Adam Jones in the bottom of the sixth. For some reason, once he got out of that inning, Girardi actually took him out of the game. He didn’t, as he normally likes to do, let Hughes go back out to get pounded in the seventh. Kudos, Joe. You’ve done it. Hughes’ final line looked pretty good overall: 6 Ip, 6 H, 3 R (2 earned), 0 BB, 5 K, 95 pitches and his fourteenth win of the season (14-12). Other than the solo homers Cody Eppley and Soriano gave up to Robert Andino (I hate him!) and Manny Machado, respectively, the bullpen did a good job in this game. Still, I would love for this game to have ended 8-0. 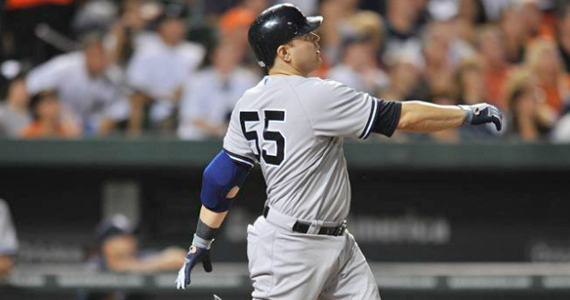 The Yankees did a lot of their damage against Chen in the top of the fourth inning. Chen had pretty much cruised through the first three innings before “Hustle” Russell took him deep for a three-run bomb. The homer scored Martin, Swisher and Canó and gave the Yankees a 3-0 lead. As much as I’ve hated on Russell this season, he really has picked it up of late, and he’s been getting big hits. Anywho, after Andruw Jones somehow got on base, Steve Pearce came up and hit the highest, cheapest Camden Yards homer I have ever seen. The two-run dinger barely escaped the grasp of Nate McLouth in left (he whined about non-existent fan interference and pouted like a champion), and extended the lead to 5-0. 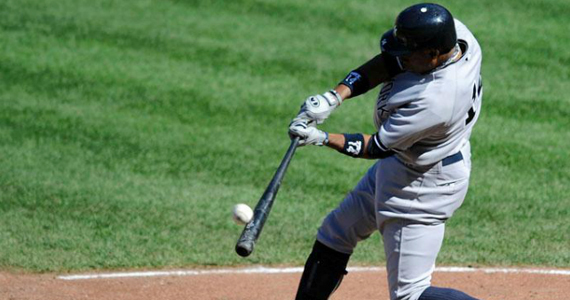 A-Rod (hello) added a two-run bomb to center off of Chen in the top of the fifth. That chased Chen and gave the Yankees a 7-0 lead. After the O’s chipped away a bit, the Yankees added one last run on an RBI single by Jeter in the top of the ninth, and that’s how they would win it, 8-4. Huge win. This game was a bit of a shame. Sabathia was, once again, terrible. It prompted Girardi to get into a shouting match with Joel Sherman of the New York Post after the game, because the “reporter” (sorry, it’s the Post) basically didn’t believe Joe when he said CC isn’t injured. Anywho, CC blew the 2-0 lead the Yankees handed him, and let the O’s tack on five runs total. In the ninth, the offense was mounting their second ridiculous late-inning comeback of the series, but a horrendous call by the first base umpire ended the game and cost the Yankees first place. Not much else to say here other than that CC was terrible in this game. He allowed three homers in this one, including one to the incomparable Lew Ford. Really? Lew ‘Effing Ford? Are you serious? No one, let alone an ace, should be giving up home runs to Lew Ford. Period. It was Ford’s third homer of the season (also his third RBI) and it pushed his average to .188. Just terrible. When guys like Ramón Santiago, Lew Ford and Ryan Hannigan homer off of you in the same season, something isn’t going right. But hey, at least Reynolds didn’t hit one. CC’s final line looked like this: 6.1 Ip, 8 H, 5 R, 0 BB, 5 K, 109 pitches and his fifth loss of the season (13-5). He stinks right now. I know i’m harping on this blow call by first base umpire Jerry Meals, but it really was that bad. I mean sure, the Yankees blew some opportunities to score in that game, and Swisher or Tex could have gotten big hits to tie that game in the ninth, but my goodness. 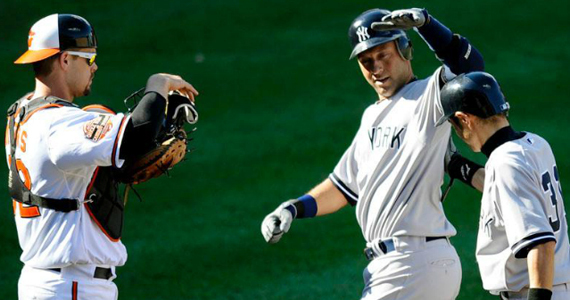 For those of you who didn’t see, the Yankees were down 5-2 in the ninth and rallied against Orioles close Jim Johnson. with the tying run on first, Tex hit a ground ball to shortstop. Fearing a game-ending double play, Tex busted it down the line and slid (something I’ve never seen him do) head first into first base to clearly beat the throw. This would have tied the game. However, as Tex said, some of these umpires seem like they just want to go home. Meals called Teixeira out at first and cost the Yankees first place. I’m not always in favor of instant replay, but when first place is on the line and someone makes a call that poorly, it’s hard to argue against a rule change. Tex called the umps out after the game (something else he rarely does), so he’ll probably get fined. It might not matter though, as his all-out hustle aggravated the calf injury he had just returned from, and he might miss a few weeks. Good thing his hustle was rewarded. Thanks, Jerry Meals. This was the game we’ve been waiting a couple of months to see from these Yankees. They hit early and often, getting off to a big lead, expanding it when the O’s pulled closer and putting them away with a big eighth inning. Freddy García didn’t make it through four before Girardi pulled him (another smart move by Joe? What’s going on here?) and let the bullpen take over. 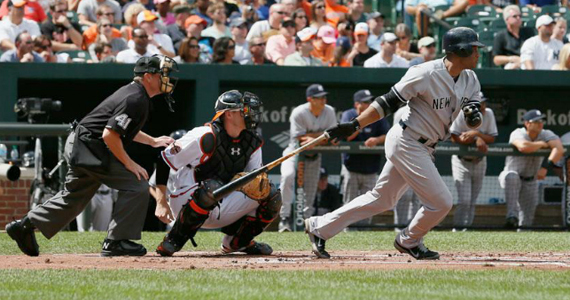 The pen was absolutely brilliant, and the Yankees hammered the O’s to reclaim first place. It’s been a while since I’ve been able to use that term, eh? There was no other way to describe this game, though. Freddy made it through 3.1 innings before Joe hooked him. It was following a two-run double by Wilson Betemit, which I think pretty much tells us how Freddy was going to do if he got left in any longer. Kudos Joe. Freddy’s final line looked like this: 3.1 IP, 3 H, 3 R, 1 BB, 1 K, 52 pitches and a no decision. That’s when the pen took over. Joba finally showed a flash of what he can do when he’s healthy and 100% back from his surgery. He picked up Freddy and the Yankees with 1.2 scoreless innings. He only walked one guy and struck out four. Impressive. Logan came in to pitch the sixth, gave up a single and a walk, but struck out two and didn’t give up any runs. Our old friend Corey Wade came in for two perfect innings with three Ks, which gives me hope. If Wade can return to his 2011 and April of this season form, that could be a huge pickup for the Yankees. Once the game was completely out of hand, Derek Lowe pitched a perfect ninth. Overall, the Yankees bullpen pitched 5.2 scoreless innings in a huge win. Even with Martin batting fifth, and Pearce and Nix in the lineup, this is the kind of game the Yankees are capable of having every time out. They completely blew Zach Britton out of the water (they have a tendency to do that to the youngster), and kept at it once the O’s bullpen took over. Like García, Britton only made it through 3.1 innings, but he was left in way too long by Buck Schowalter, giving up five runs on five hits and five walks. The Yankees scored their first run in the top of the first, when Canó singled in Jeter (who had yet another multi-hit game in this one). It all fell apart for the Orioles in the top of the fourth. Although the four run rally wasn’t really that impressive (there was a wild pitch, 2 runs were walked in by Britton, a run scored on a bloop by Jayson Nix and another scored on a Baltimore chop by Ichiro. The result was still four big runs though, and the Yankees jumped out to a 5-0 lead. After Freddy almost gave it all back in the bottom of the inning, the Yankees went back to work in the sixth. Curtis Granderson pinch hit and hit an opposite field homer to extend the lead by one. In the top of the seventh, Granderson struck again, this time with a two-run single. The top of the eighth yielded five more runs and finally put the Orioles out of their misery. Jeter hit a two-run homer, Martin singled in A-Rod and that man Granderson then doubled in two more runs a few batters later. Granderson, who didn’t start and didn’t come in until the sixth, ended up 3-3 with 5 RBI. Maybe this will get him out of his second half slump. Hell, he might even hit .240 if he keeps this up! Sure, I would have loved a sweep, or even three out of four. Anything to show the Orioles that this division belongs to the Yankees and nobody else. Did we get that? No. We got a split, and left Baltimore with the same one game lead we had when we came in. However, the offense really seemed to pick things up. Not only did they finally score some runs, but they actually showed some life in late inning situations. They didn’t just lay down and die like they have been doing for the last couple of months. If the bullpen hadn’t blown game one out of their butts, and Jerry Meals hadn’t done the same with game three, who knows what would have happened, right? The offense seems to be clicking. The Yankees need someone, anyone, to stabilize the rotation (CC is not the guy right now), and the bullpen (maybe Wade and Chamberlain turned a corner on Sunday?). It really isn’t going to take much. They just need to get on a roll and let momentum and good times take over. One thing I would suggest though, is to take Nick Swisher out of the two hole. As great as Swish was last month, he’s been absolutely brutal in September, and is currently mired in an 0-28 slump. He should not be hitting second right now. When Granderson struggled mightily, Girardi (eventually) benched him for a couple of games. I’m not saying to bench Swish (we can’t, especially now that Tex has re-injured himself and will be out another 10-14 days), but i think he could really benefit from going down to sixth or even seventh or eighth for a couple of games. The Yankees are going to have to get him going one way or another. As far as the last 22 games go, the Yankees only play six of them teams with winning records. The other 16 games are against bad teams. In theory, the Yankees should do well in these games. The Rays, meanwhile, play 13 games against winning teams, and the Orioles play nine. On top of that, the O’s and Rays play each other six times. The Yankees have a real chance to pull ahead in the final stretch, but it’s a matter of playing well… Here’s hoping they can keep their heads out of their butts for the next three weeks.